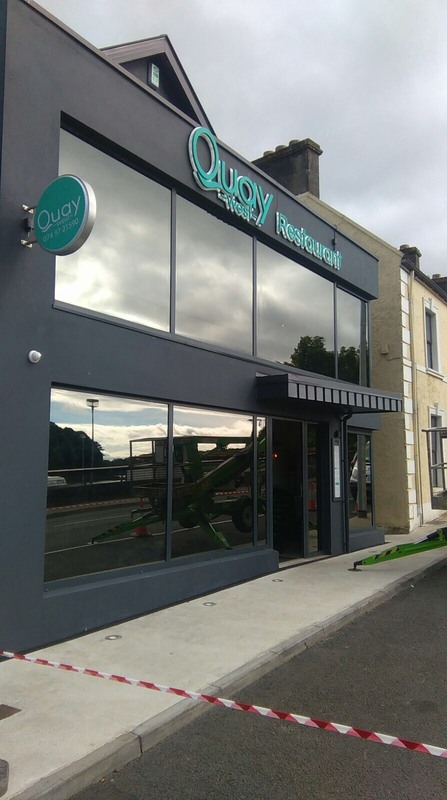 Quay West is a fantastic and extremely busy restaurant based in beautiful Donegal Town with spectacular views of the estuary. 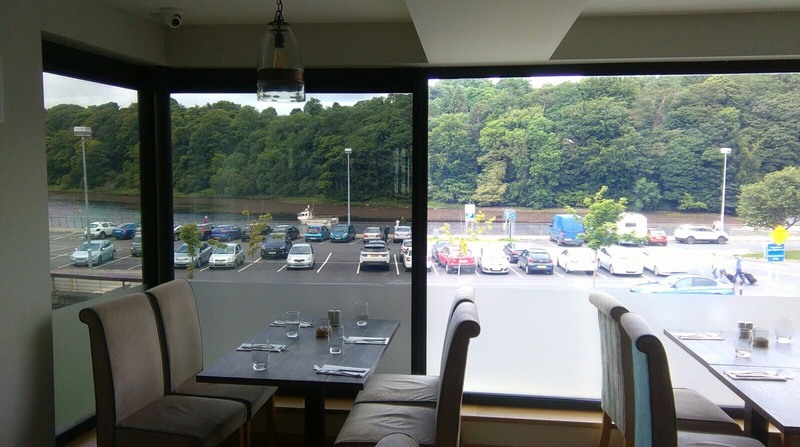 With a complete glass front it had one major problem, customers were being crucified with both the heat and glare when the sun came out. 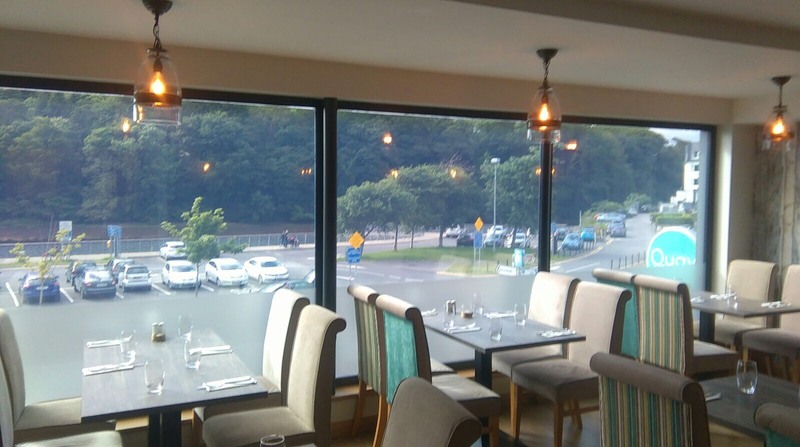 It was so bad that people were requesting to be moved away from tables close to the windows and in a restaurant as busy as Quay West this was a disaster as most of the time there were no other tables available. 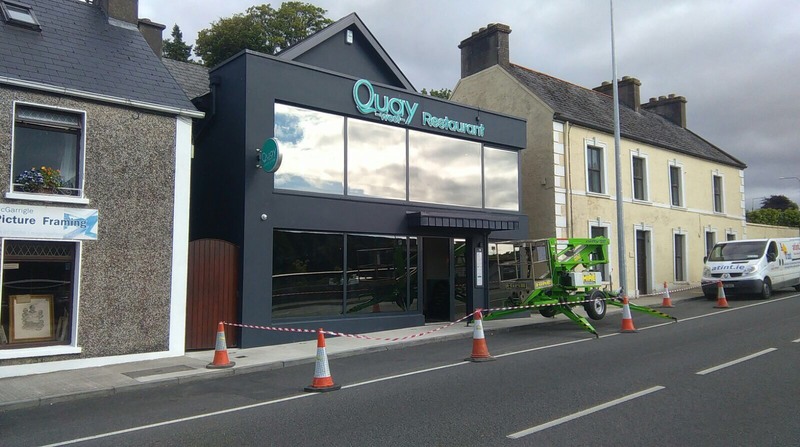 Jo Roarty the co owner of the restaurant looked at extreme measures including the possibility of changing the glazing at huge costs. Blinds were also considered but this would hinder the views so that’s when Jo found Coatek. We took real satisfaction with this job as Jo was really having a major problem when she came to us. Without costing the earth or darkening the interior we were able to find a solution and its always great when a client takes the time to contact you to say how delighted they are with the results. If your home, business, office or any type of commercial or domestic property are experiencing issues similar to this or indeed anything to do with glass on the island of Ireland please call us today on 0818 919600 or visit our website www.coatek.ie and we would be delighted to help.